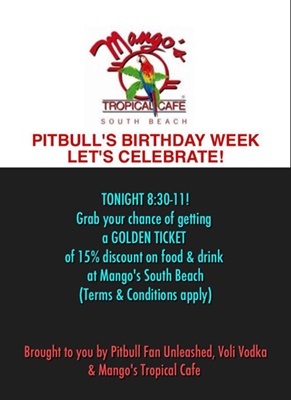 Pitbull Fan Unleashed! : BOOM BOOM! THE MUEVELO LOCA VIDEO IS HERE! BOOM BOOM! THE MUEVELO LOCA VIDEO IS HERE! 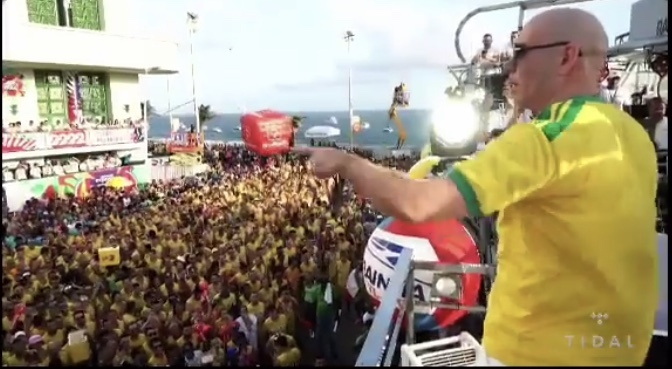 Pitbull warms us up for the Brazil Carnival and encourages us to Muevelo Loca a little earlier this year (Boom Boom!) In another strategic move on both sides, Mr Worldwide drives more traffic to Jay Z’s Tidal, the platform on which the official video Muevelo Loca was released earlier today. 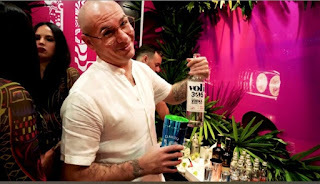 Directed by personal favourite Pitbull video creative wizard, David Rousseau, the video embodies everything Pitbull – SIMPLY A GREAT PARTY. Pitbull goes through a few costume changes in this video from all white shirt, bottoms en route to the carnival and rocking what possibly looks like a Limitless Legends cap to getting on the bus with a green Brazil vest and then a yellow Brazil football shirt. Whilst waving the Brazilian flag in one hand a mic in the other. From the streets of Salvador, some capoeira, the party goers and back to Pitbull and Claudia Leitte with their float surrounded by an ocean of fans soaking up the energy brought to the carnival by this duo. No doubt it the party wouldn’t be complete without a few bottles of Voli 305 on board and blatant advertising of his own brand. 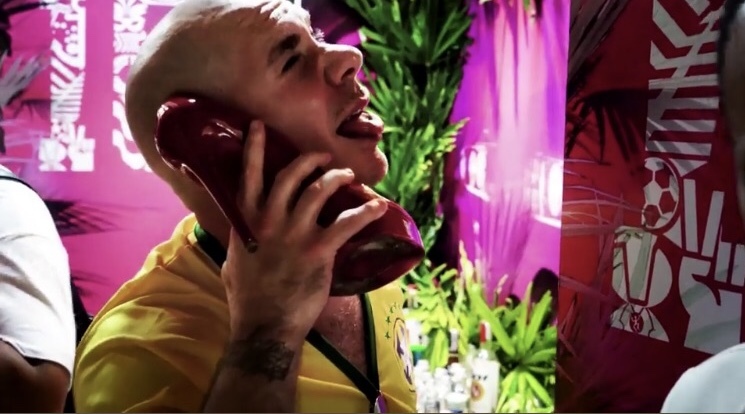 Although Pitbull may have had a few too many and mistaken possibly Claudia’s shoe for his cell phone? Vibrant, energetic, switched on party mode the video captures the essence of this annual event with mass global appeal with a lot of fun!